Fortnite Battle Royale is the most popular game in the world that just doesn't stop breaking records with millions of viewers and players online. Find out just what's behind the phenomenon. If there is any game that can be called the most influential title in recent times, it would definitely be Fortnite Battle Royale. Trends in the world of electronic media change way too fast for traditional news to keep up, so the success of this game might come as a surprise to non-gamers. It’s now the most followed game online, with tons of viewers on Twitch and YouTube, as well as millions of active players around the world as a result of its Free-to-Play model. Just to keep things in perspective: Minecraft came out 11 years ago. The Battle Royale genre came to the attention of the public at the beginning of 2017, when Playerunknown’s Battlegrounds (PUBG), a bloodthirsty Free-to-Play game (that is, free with the option for in-game purchases) where 100 players fight it out while an invisible dome squeezes them into a smaller and smaller battlefield. 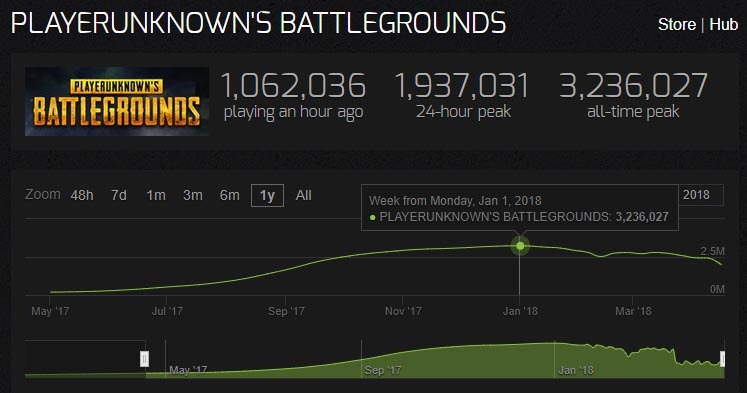 Bluehole Entertainment’s game became the most played game on Steam – the biggest platform for PC gaming – for several months, reaching 3.2 million concurrent players in January of this year. Without a doubt, Fortnite drew a lot of inspiration from the success of PUBG. Epic Games released the game in July 2017 for PC and console, although with an entirely different premise. The main game mode was based around banding together with other players to take down hordes of zombies while fortifying your base. As a paid video game, it sold more than two million copies in just two months, but the real success was yet to come. In August of that year they launched Fortnite Battle Royale, a new version of the game that’s Free-to-Play, drawing many of its characteristics from PUBG. The rivalry between the two games has grown in the last few months, although 2018 brought a clear victor. In February, Fornite broke the record for most concurrent players set by PUBG, and its numbers have only grown since then. Without getting into details, the Youtuber ElRubius also broke the record for most live viewers with one million people watching a match between various YouTube celebrities. These milestones have spilled over into other media as well, with soccer stars celebrating their goals with dances from the game and celebrities like Drake openly spreading his love for the title. By now, smartphones are nearly as useful for playing games as consoles themselves. Uptodown, the biggest alternative marketplace of Android apps, released the results of a survey of more than a billion unique users at the end of 2017 that said that more than 40% of users prefer playing games on their smartphone over other devices. With these kinds of numbers, it makes sense that both Epic Games and Bluehole are eager to get their star players into the game. The first to make the move was Playerunknown’s Battlegrounds, thanks to an agreement with tech giant Tencent that launched two games for iOS and Android for the Asian market, then a month later one of the two was launched internationally. 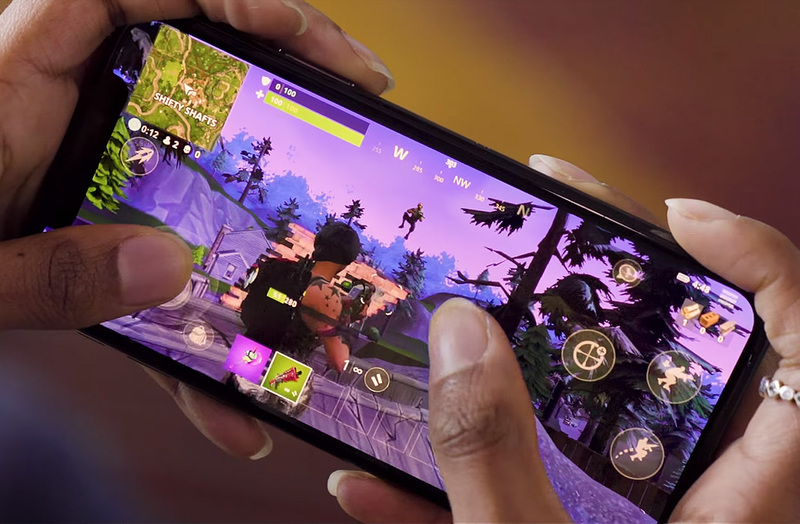 The process was accelerated by Fortnite’s entry into the mix, after a beta release for iOS on April 2nd, then the announcement of its impending release on Android. 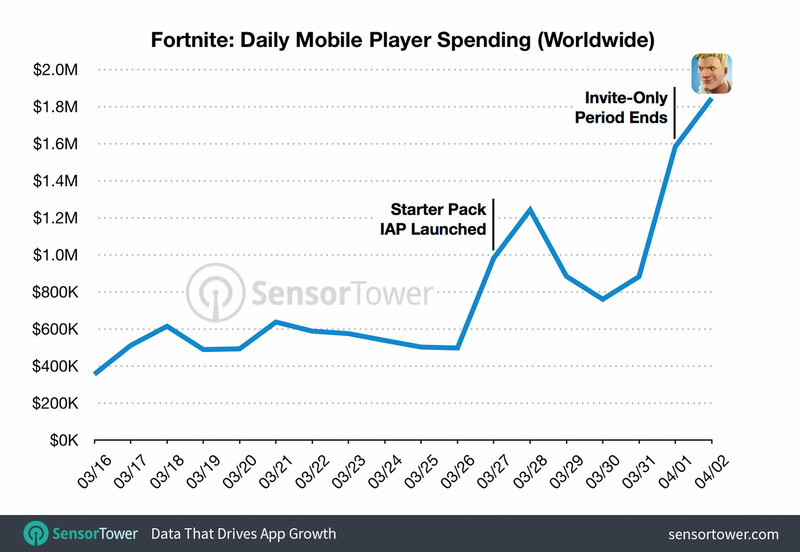 On just Apple devices, Fortnite has generated 1.8 million dollars for the company exclusively from cosmetic purchases, since the game itself is completely free. In just two weeks it’s been downloaded by 11 million users. The main problem facing both companies is the proliferation of clones and copycat titles of their hit games. To tackle this issue, the creators of PUBG have opted to take the battle to the courts by suing several clones created by NetEase, Tencent’s main competitor, who has the distribution rights for the game in Asia. Epic Games has so far remained on the sidelines, although there are some flagrant copies making the rounds in Asia. In fact, several of these games have reversed the established flow by launching PC ports of the Android and iOS versions, as demonstrated by the opportunistic success of Rules of Survival.